Provident Behavioral Health is proud of our long history of delivering high-quality mental health care. We are committed to continuing this tradition through partnerships that demonstrate our strength and success. The mission of the AAS is to promote the understanding and prevention of suicide and support those who have been affected by it. The membership of AAS includes mental health and public health professionals, researchers, suicide prevention and crisis intervention centers, school districts, crisis center volunteers, survivors of suicide loss, attempt survivors, and a variety of lay persons who have in interest in suicide prevention. Provident's crisis intervention and suicide prevention services are accredited by the American Association of Suicidology. An independent, not-for-profit organization, The Joint Commission accredits and certifies nearly 21,000 health care organizations and programs in the United States. Joint Commission accreditation and certification is recognized nationwide as a symbol of quality that reflects an organization’s commitment to meeting certain performance standards. 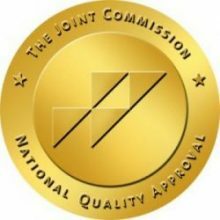 The Joint Commission’s accreditation process concentrates on operational systems critical to the safety and quality of care, treatment or services provided to the individual. Provident's counseling services have been accredited by The Joint Commission since 1982. 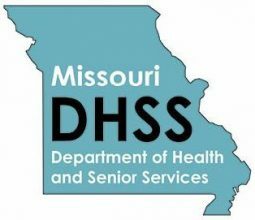 Missouri Department of Health and Senior Services Health Services Regulation (HSR) within the Department of Health and Senior Services protects the citizens of Missouri by developing, regulating and enforcing standards of care and treatment for individuals utilizing health care facilities in Missouri. Health care facilities are inspected to determine if certain standards of care are being met. Inspections are performed as part of an on-going process. Provident's Afterschool program is licensed by the State of Missouri. A BBB accredited charity is an organization that meets all 20 of the BBB Standards for Charity Accountability based on a review of information and materials provided by the organization.